On March 8 2019, we encourage you to join us as we celebrate, connect and give to women in need. Women in Strata are delighted to partner with SCA (NSW) and their sponsors to present IWD – High Tea. It will be a high tea lunch to remember as we hear from our very own female leaders, Anne-Maree Paull and Kirsten Terry. As well as the formidable Jessica Rowe, whose advocacy for mental health awareness earned her an Order of Australia. What a line up. The theme for International Women’s Day (IWD) in 2019 is #BalanceforBetter – where we commit to work collectively to build a gender-balanced world. Because that’s what feminism is, at its deepest, truest core. The belief in an equal and balanced world. Where gender parity is achieved on boards, in Governments and in the juridical system. Where women are paid the same as men for equal work. Where women are never called ‘aggressive’, when they are simply being assertive. Basically, #BalanceforBetter is about a world where your gender will have no bearing on your success in life. Imagine such a world! I do, and it makes me smile. Because things are changing! The shift is big, palatable and oh so important! Nothing worth achieving is easy, but it is always worth the effort and angst to create a better world. And don’t doubt it, we are changing the world. Right now, in 2019, as we work for a balanced, safe world, we are creating a better existence for everyone. But, you know, we’ll happily accept your $20 notes 😉. 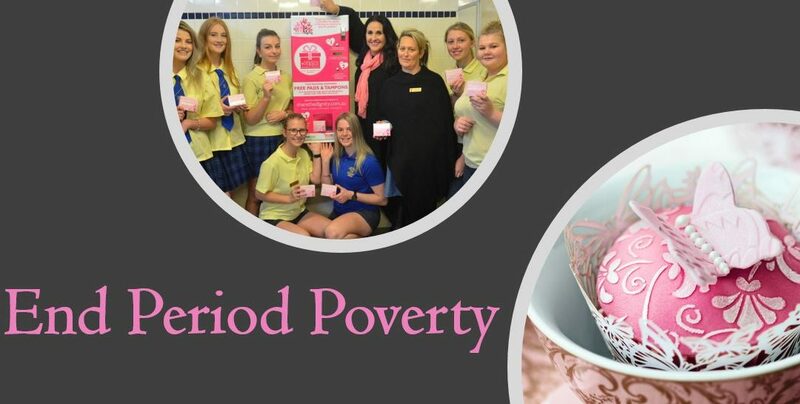 The money will be going towards installing more ‘Pink Boxes’ in schools with low female student attendance rates. Girls in Australia, girls in Sydney, are skipping school because they don’t have access to period products. Messed up right? These vending machines ARE MAKING A REAL DIFFERENCE and keeping girls in school. $20 worth of tickets would put you in good steed to win one of the amazing prizes, but helping girls in need on IWD, that my friends will leave you feeling empowered to create change*. *actual emotional reaction to raffle participation is not guaranteed, but is generally considered likely to result in feelings of a positive nature, especially if you win.